5 Best Paying Skilled Jobs You Can Do From Home. It is the dream of many people to work from home, where they can arrange their own schedule while avoiding the stress of the commute and the other hassles that come from having to deal with people in the workplace. 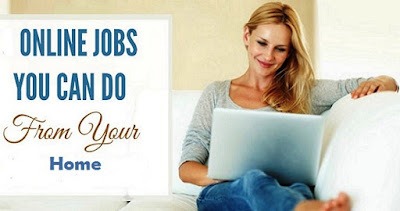 If you are interested in trying your hand at this lifestyle, you will want to know the best paying skilled jobs you can do from home. Here are five of the top choices for those who are ready to take the plunge and make their home their workplace. A freelance writer can easily work from home completing a wide range of work that makes the best use of their talents and skills. Some writers are able to work for a single publication or blog, submitting articles on their particular niche on a regular basis, however the best way to make a living as an online writer is to write for a number of different sources, and this requires the ability to write several styles and for various purposes. To become a successful writer from home, you will need good copy writing skills as well as a strong knowledge of grammar and creative flair. You will also need good time management in order to meet deadlines. If you have a degree in creative writing or journalism, this would be an advantage; however you can just as easily impress direct clients with your excellent skills without paper qualifications. Online writers are generally paid per article and often per word. There are a number of copy writing websites which are a good place for you to begin your online writing career. You can register by completing a skills test and submitting a piece of writing for consideration by their panel and once you have been accepted as a writer, you then have access to a range of varied articles on a host of topics. Using this route, you are sure to attract direct clients who will offer you more regular work at a higher rate of pay. Developing and designing visual presentations for advertising purposes, a graphic designer can easily work from home. You will need a passion for designing as well as creative flair and the ability to adapt your work to a brief within a set deadline. You are more likely to enjoy success if you have a degree in the discipline, however if you have a portfolio of work to show potential clients, you can also find work. Once you have found a few clients, your portfolio will easily build up into an impressive display of your skills that is sure to bring in more clients. This is a lucrative industry, with many independent graphic designers earning up to £30,000 per year, however you will have to work hard to expand your client base and build up your experience. For those who have a passion for travel and who like organizing and arranging trips for others, working as a travel agent from home is a dream come true. You could either work for an existing travel agency that have a home working division or set yourself up as a freelance operator. If you have an existing qualification in travel and tourism or prior experience in the industry, you are likely to be more successful in your venture, however if you have plenty of experience in arranging your own trips or those of family members, or have a passion for a particular area of travel, you may be able to set yourself up as a specialist in a specific niche. You will need good people skills, computer skills and a friendly and approachable telephone manner in order to deal with clients. You will also need a strong knowledge of the travel industry and a real interest in tourism. Many people who have worked in the financial industry prefer to work from home as a financial manager. In this role, you can help people to make the correct investments, expand their financial portfolio and manage their money more effectively. You are most likely to be successful in your enterprise if you have a degree or other financial qualification; however previous experience within the industry is also likely to be a great advantage. You will need a strong knowledge of the financial markets and have good people skills, and if you are intending clients to come to your home, you will need to consider whether your property will give the right impression to customers who are looking to you to manage their own finances. For someone who has skills within the computing industry, the role of software engineer or web/app developer represents the ideal way of enjoying all the benefits of working from home. It would be a great advantage to have a qualification in software development or computer science, however if you have already had experience in developing software and apps of your own, you are likely to be able to make a success of your business. Many software developers who work from home are actually employed by a company, but have the flexibility of using their home as their workplace. This gives you the best of both worlds, with a regular salary, but the freedom of working from home. Alternatively, for the ultimate freedom, you could set yourself up as a freelance developer, creating your own apps or software and marketing them on your own behalf, or looking on sites such as Upwork in order to be matched with people who are looking for someone to carry out app development on their behalf. To be successful in this venture, you will need to be motivated and hard working; however the financial benefits can be very high for those who can attract high profile clients.